On December 24, 1922, Ava Garnder was born in Grabtown, a small farming community near Smithfield in Johnston County. Gardner moved around North Carolina as a child, but eventually graduated high school in Wilson County and began a program in secretarial studies at what is now Barton College. 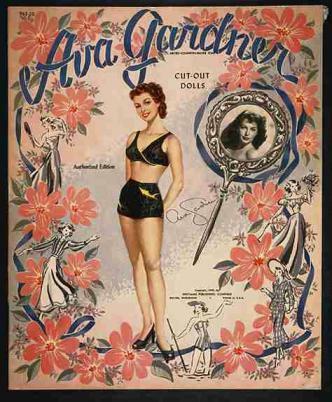 Discovered by chance after her brother-in-law posted a picture of her in the window of his New York City studio, Gardner was offered a contract with MGM Studios. Since her mother would not allow her to head to Hollywood alone, both Garner and her sister moved to the west coast in 1941. Appearing in mostly minor and silent parts during the first five years of her career, Gardner’s profile was raised significantly after her 1946 performances in Whistle Stop and The Killers. Gardner went on to make at least 55 movies, including On the Beach (1959), The Night of the Iguana (1964) and Earthquake (1974). She was also known for her marriages to Mickey Rooney, Artie Shaw and Frank Sinatra. Gardner came back to Johnston and Wilson Counties often throughout her life to visit family and friends, though she died while living abroad in 1990. The Ava Gardner Museum and Festival, both in Smithfield, honor her. For more on North Carolina’s film industry, check out the article on film-making on NCpedia.